So excited to be participating in the last round of the Traveling Brown Girls Blog Carnival! This month’s topic is hosted by the lovely ladies of Brown Girls Fly. Colombia. It all started when I went to Panama a few years ago, for an intense language immersion class for a couple of months. I had never really thought of Colombia as a travel destination, but after researching Spanish classes and the best places to learn, I kept hearing more and more about Colombia. I found that many people were claiming that Colombians spoke some of the clearest and easiest to understand Spanish around. Through blogs and travel websites I learned more about the country and consistently bloggers spoke about the kindness of Colombians. From the beach town of Cartagena to the eternal spring of Medellin to the salsa capital Cali to the vast city of Bogotá to the tall palms of Salento, I was hooked. Tanzania. I have yet to make it to the beautiful continent of Africa, but when I do, Tanzania is at the top of my list. With its rich cultural landscape, Tanzania has over 100 ethnic groups. I want to explore the Serengeti, see the beautiful Masai tribe, and see the snow-capped peak of Mount Kilimanjaro with my own eyes. And if that isn’t enough, I have one more word for you…Zanzibar. I dream of taking a walk on the white sand beaches of this beautiful island and smell the cinnamon and cloves of the spice farms. Japan. Located just about as far from my current location as possible, traveling to Japan and experiencing another culture, seemingly so different from own, would be amazing. The bustling city streets of Tokyo and historic Kyoto are on my must-see list. I’d love to ride the bullet train and hop off along the way to take in the countryside scenery. A coworker of mine recently got back from a visit and could not speak highly enough of her time there. Confirming my sentiment, she shared that the culture is so different from ours here in the U.S. She spoke of the extreme politeness of the Japanese, the jam-packed train stations, and the abundance of vending machines selling…well, everything. Which, speaking of vending machines, how can we forget about the FOOD?! If you feel like drooling, check out the video below from The Perennial Plate. Bento box for one please! Senegal. My grandfather traveled to Senegal when I was a child and I still remember the stories he told on his return. His excitement was infectious. I have wanted to go ever since. I want to feel what he felt and experience what he experienced. As an art enthusiast, a stop at the Village des Arts on the way from the airport, would be mandatory. An initiative of the country’s Ministry of Culture, it seeks to promote, encourage, and develop local artists. All disciplines are represented within their 52 workshops and it would be a joy to view the work of and chat with the artists. Once arriving in Dakar, I would shop the markets and visit the beaches during the day and dance the night away in the nightclubs. 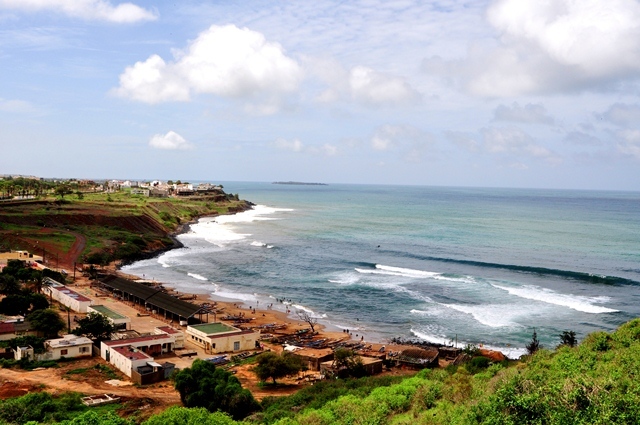 Unlike Tanzania, Senegal is located on the west coast of Africa. And I could not visit without having a stop at Goree Island. Emotional as it may be, having never stepped foot on the continent before, I feel it necessary to visit and experience the place where my ancestors were sold into the slave trade. Despite the controversy on the magnitude of Goree Island’s role in the slave trade, I want to face the Door of No Return and reflect on the lives of those that crossed through its doorway. Mauritius. What started out as a casual mention from a friend, soon became my obsession. Located off the southeast coast of Africa, Mauritius is a blend of African, Chinese, Indian, and French cultures. I get dizzy just thinking about dipping my toes in the clear turquoise waters of the Indian Ocean. What else can I say? It truly is the epitome of paradise. This entry was posted in International Travel, Travel. Bookmark the permalink. You should definitely go to Cali, it is a great time. It looks like so much fun! Thanks for stopping by. Can’t argue with those destinations. #6 Hartford, CT….? Love you list! You have to go to Africa. I was planning to visit Zanzibar and Tanzania this year but had to change plans. You’ve reignited my interest. Thanks for joining the Carnival! Ditto on your ENTIRE list! My husband has spent LOTS of time in Zanzibar/Tanzania and I can’t wait to see it all for myself. I spend lots of time in Paris and have been tempted to go to Senegal from there (and I will). I am intrigued by Mauritius as I have met several Mauritians in Paris and love to listen to their stories. Really? I bet he has so many great stories from his time there. Can’t wait to read about yours when you go. Great list. I’ve been to Senegal and Goree Island is an emotional experience. It’s a bit of a paradox because you look out upon a stunning coastline from the doorway of a place of terrible atrocities. I am contemplating a trip to Panama, so I’ll have to get your tips. I’m headed to Panama in July and I am toooooo excited. Columbia is in my top 10 as well. I am already planning into 2014 – SMH….it never ends…. Ha! It doesn’t, does it? Do you know where you are headed in Panama? Let me know if you want any tips/ideas. I loved it. Thanks for participating in the blog carnival. Definitely a sign! 🙂 I’m sure Zanzibar was amazing, can’t wait to see for myself. Yep, I’d love to visit all these places as well. Speaking from experience, Japan is definitely all that it’s cracked up to be. One of my favorite countries for so many reasons! I can only imagine! Thanks for stopping by! Thanks for joining in the carnival fun! You know you’re not helping me keep my wanderlust in check, right? LOL! I pretty much want to go to all of these places too. Looking at your list, I realized I had 2 near misses. I booked a trip to Colombia but the airline folded before I got to take my trip and I ended up not planning it all over again. I have a friend from Chicago who just moved back to Colombia. I so should hit him up and see if he wants a visitor from his Chicagoland home. LOL. The other near miss was Japan. Two good friends from college lived there and I planned a trip with a layover in Tokyo on my way to Thailand. They had a massive protest which shut down the airport. What’s with me and all this airport/airline drama? Japan and AFRICA (in its entirety!) made my list as well! It was so hard to narrow it down to just 5 when I have like 50 plus on my bucket list! Thanks for sharing your list–Columbia seems amazing. One of my best friends keeps urging me to go there with her. Maybe this is the universe telling me to just go for it! Just say YES to Colombia! Lol. And I know! Sooooo hard to narrow down. Heading over to check out your list now. How could I forget about Mauritius?! Yes, what a beautiful island. I think we all need to do a group trip to Japan. It made it on many of our lists, secondary for me but it’s almost a given that I’m going to go since my husband has been trying to get me there for years. I hope it happens – for you and me! Thanks for being a part of the carnival. Agreed, lol. So down for a group trip! Happy to participate, I’ve enjoyed reading everyone’s list. Yes! to your entire list. I would love to explore all of them. Funny story about Tanzania. I was about to book a trip but decided to wait one day before booking. Found out I was pregnant the next day. Thanks for reading! Wow, funny how things work out huh? Congrats on your blessing! Great list! That’s amazing that your grandfather traveled to Senegal. Beautiful photos! Definitely agree on Colombia. I spent a week in Bogota and loved it despite it being cold. Now dying to get to Cartagena and San Andres in the near future. Thank you! You can click on them to see the credits. Nice! I will have to look up San Andres. Thanks for stopping by. Ahhhh…..your Japan video further intensified my desire to go! :-), the video is pretty amazing. Great list. I wrote about Mauritius in my blog about a year ago, having never heard of it, but wanted to know more bc one of my readers was from there. Mauritius has shown up on quite a few bloggers top 5 must go to list, and with a view like that…wow!! I know, right?! It is gorgeous. Thanks for stopping by! Wow, very cool. Thanks for stopping by Tamara!